Her eyes were swelling up in tears, and there I was looking at a tiny arm with a large, swollen red area. Sure enough, my daughter had been stung by a bee, and needless to say she wasn’t too happy about it. I proceeded to do what I always do when something goes wrong – I applied ice, followed by some cortisone cream and hoped it would at least become manageable before bedtime. Wrong. And I felt horrible. We unfortunately struggled with the redness and swelling for several days until a friend suggested tea tree oil. I applied it just as she suggested, and within a few hours that tiny little arm was of normal color and we got some much needed rest that night. I don’t like to use the words “miracle” or “cure,” but if there was ever a time when it might be applicable, it was that day. Tea tree oil is one of the most powerful and well-studied essential oils on the market today, with over 300 scientific studies referring to its antimicrobial capabilities alone. Scientific research backs what we have known for a long time: tea tree oil is a powerful, natural tool for health. While pharmaceuticals have been around for about a 100 years, our ancestors relied on essential oils for first aid problems before that. Aboriginal tribes in Australia have known of the tea tree’s healing qualities for thousands of years, primarily using it for it’s antiseptic properties and prized healing ability. During World War II, Australian soldiers were issued this natural oil as one of the prime components in their first aid kits. 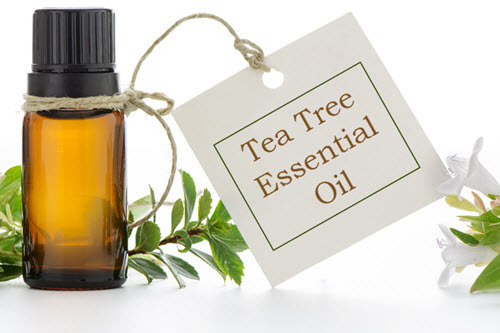 The commercial tea tree oil industry originated in the 1920s when Arthur Penfold, an Australian, reported that tea tree oil had promise as it exhibited powerful antiseptic properties. Upon disclosing his discovery, scientists began testing and conducting research on the oil’s properties. The profound results made their way into medical and scientific journals of the day, concluding that tea tree oil was a near perfect antiseptic. Mechanization, established in the 1970’s, allowed for the large scale production of tea tree oil that we’ve come to know today. Tea tree oil, also known as melaleuca oil, is a yellowish colored essential oil that is made from the leaves of the plant Melaleuca alternifolia (native to Australia). The oil is steam-distilled, which uses low pressure and temperature that ultimately results in an oil that is pure. This is how ancient cultures distilled oils for thousands of years, which proved to be important for potency and efficiency. And the potent nature of tea tree oil makes for an extremely cost efficient product. One bottle of this tea tree oil, when applied with a carrier oil, provides 50 oz of solution, compared to popular topical creams which typically provide 1 oz of solution for the same price. Applying tea tree oil with a carrier oil provides a safe and effective way to use the product. Fractionated coconut oil is an all-natural carrier oil that readily absorbs into the skin, making it ideal for topical therapies. It is completely soluble with all essential oils and is colorless, odorless, and will not stain or go rancid. While regular coconut oil can also be used, it is not quite as convenient. Regular coconut oil is solid at room temperature, making it hard for mixing and leaves a greasy feeling on the skin. Provides a medium that helps increase absorption of the tea tree oil into the skin. Basic Tea Tree Solution Recipe: A 1% dilution is recommended for children 6 years and older. To prepare this dilution, add 1 drop of tea tree oil per teaspoon of carrier oil. You can do it at home or you can buy pre-made solutions. Variations of this basic solution enable treatment of several of today’s common skin issues. As a mom with small children, I’ve found tea tree oil solutions to be one of my best friends. This recipe is perfect for those times when washing with soap and water isn’t an option. I like to carry a bottle in my diaper bag, purse, and gym bag. I even shared it with my child’s teacher to utilize at school. Combine 9 drops of both lavender and clove oil, along with 25-30 drops of tea tree oil. Stir together and add 16 tablespoons (8 ounces) of aloe vera gel along with 1 tablespoon of witch hazel (if you’re going to use it). Blend together, add to container (old hand sanitizer bottles work well) and store out of direct sunlight in a cool place for up to 1 month. Tip: Does not have indefinite shelf life due to the lack of concentrated alcohol content store-bought hand sanitizers have. A cut can be painful, but not compared to that of an infected one. Tea tree oil has been used for centuries to heal cuts and scrapes. 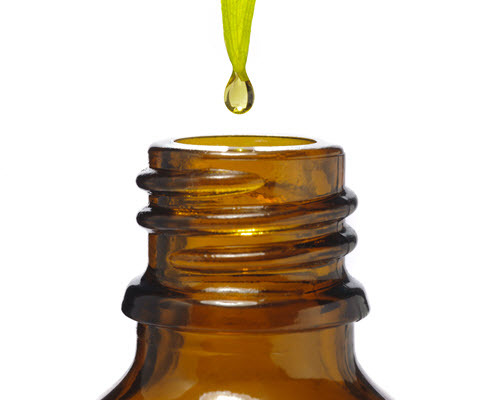 Prepare a 1% dilution by adding 1 drop of tea tree oil per teaspoon of carrier oil. Clean the area first with water and apply solution every 2-3 hours. Be sure to cover the perimeter of the wound to help combat a possible infection. A bandage should also be applied if your child is headed outside to play or going to be coming into contact with soil. Tip: For deeper cuts and scrapes, please use your judgement and consult medical attention if necessary. Have you ever been on a hike with your kids and forgot bug spray? It’s happened to me and I was left with 2 cranky, itchy children. Thankfully, tea tree helps to relieve the redness, swelling, and irritation bug bites leave behind. Prepare a 1% dilution, by adding 1 drop of tea tree oil per teaspoon of carrier oil and apply to cleansed, affected area every 2-3 hours as needed. Tip: Insects hate tea tree oil, so I love to use this as a natural bug repellant as well. Tip: Aloe Vera acts at the epithelial level of the skin to help protect and replenish its moisture. If you have access to an aloe vera plant, here’s a quick one minute video on how to extract the juice. Mix all ingredients and apply solution to affected area at least 2 times per day and after each shower/pool session. Choosing a product to treat acne can be extremely overwhelming, but tea tree oil is proven to be effective. Add 1-2 drops of tea tree oil to a damp cotton ball and apply to the affected area once per night before bed. Leave for a few minutes and rinse with water. 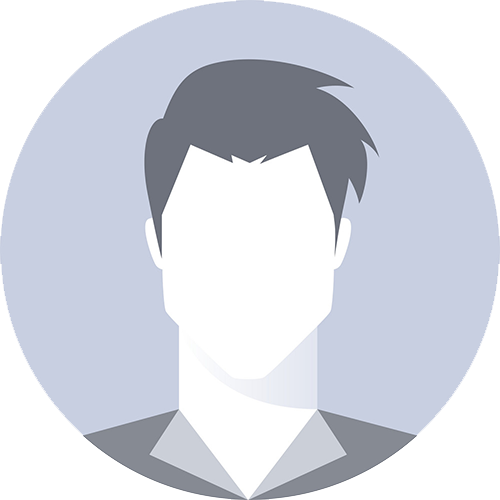 Tip: Skin may be sensitive to direct sunlight after use. Use caution as necessary. Use with Manuka honey for an amazing skin care regimen. 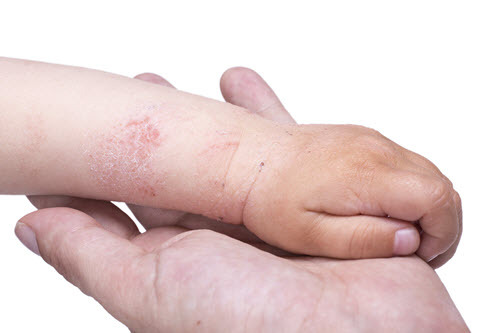 The prevalence of childhood eczema in the U. S. and across other countries is on the rise. While tea tree oil is not a cure, its antibacterial, anti-fungal, and antiseptic qualities are scientifically proven to be outstanding in relieving the symptoms. Increase the amount of carrier oil used if your child has sensitive skin or typically reacts to new substances. Tip: Learn more about the root cause of eczema and why it may be occurring in your child. 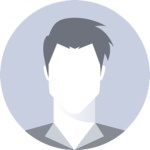 “I use tea tree oil on a regular basis for my patients. It is the most common oil I use and the first recommendation I make for parents to use on their children, especially for diaper and skin rashes.” ~ Ali Schweitzer, D.C. The combination of tea tree oil and coconut oil works particularly well for yeast diaper rashes. This type of rash is characterized by well-defined borders, extreme redness, and lesions a slight distance from the main rash. It can be hard to get rid of and regular ointments didn’t cut it for me. Mix 5 drops of tea tree oil with 2 tablespoons of coconut oil and apply to affected area after each diaper change. Tip: Increase the amount of coconut oil (carrier oil), if your child has sensitive skin. Undiluted tea tree oil may cause skin irritation (redness, itching, rash) in a small fraction of people. Using a carrier oil to dilute the solution can help minimize these reactions, by reducing the amount that penetrates the epidermis (outer layer of the skin). This PDF report, produced by the Australian government, does a great job explaining the details around skin irritation, sensitization, and penetration when using tea tree oil. If you’ve ever conducted any type of Google search on essential oils, you’ll find an overwhelming amount of information. There are a tons of options available, from inexpensive ones at your local grocery story to expensive ones sold exclusively through private distributors. I chose Rocky Mountain Oils based upon 3 variables, including quality, affordability, and the company’s customer service. 1.) The fact that this direct-to-consumer company details the entire process of sourcing, sampling, testing, and analyzing the oils speaks volumes. The oils are 100% Guaranteed Satisfaction of Quality (100GSOQ), and upon request the company will provide customers with GC/MS (Gas Chromotography – mass spectrometry) test results from a verified third-party, independent lab. 2.) A 15mL bottle of Rocky Mountain Tea Tree Oil costs less than other major brands. Not to mention, all domestic orders ship for free. 3.) I have high standards for customer service (it’s what I do for my day job), so the option to chat with a live person in addition to the 90-day money back guarantee refund policy makes me a happy customer. The customer reviews for tea tree oil speak for themselves…over 80 reviews with a 5-star rating. If you’re skeptical, like I was, I can see why. When it comes to the health of our children, we’re often overwhelmed with information that can lead to frustration and uncertainty. After a bit of frustration myself, I’ve put this oil to the test… and there is one thing I’m sure of: it works! I suggest you try it – you won’t be disappointed. The smile I get when applying this chemical-free oil on my children’s skin (and knowing it’s going to work) is priceless. You no longer have to feel guilty for using products with ingredients you can’t pronounce. Lori Jo’s health journey started 13 years ago as an eager Freshman about to begin her dream of playing college basketball. But the stomach aches, extreme fatigue, depression, and recurring panic attacks began to take their toll, and she was no longer able to meet the demands of a college athlete. After numerous doctor’s appointments, she was left with a pile of medications, bills, and zero answers. She decided to take matters into her own hands and slowly began to regain her health primarily through a paleo/SCD based diet and lifestyle changes. This journey has led her to work for SCD Lifestyle as one of the Customer Happiness Engineers. Lori Jo is a busy wife and mother of two young girls and has a passion for helping others on their own journey back to health. Tea tree oil is one of the most powerful essential oil. When used as a topical treatment, tea tree oil can cause skin rashes, inflammation and redness that is often the result of an allergic reaction. For kids tea tree oil used topically for burns, cuts, diaper rash and fungal infections. Both adults and children can benefit from the use of tea tree oil. Thaks for sharing. Hiya! Can you tell me about safely using tea tree oil with vinegar as a home cleaner for toys, counters, tables, floors, etc.? My little ones are toddlers, and they eat things off the floor sometimes or put toys in their mouths to lick or chew. If tea tree oil is toxic when ingested, does that mean I should not use it as part if my vinegar solution bc residue of the cleaner would be on all surfaces? I was hoping to use it bc it kills germs. I’ve heard of using grapefruit seed extract, but I hear it can mimic estrogen, and if they put things in their mouths with that residue, that could be an issue too. I’m new at this, so any clarification would be appreciated greatly! HI Alice – Most tea tree oils are NOT for ingestion in any way, even if diluted with water. We’d recommend reaching out to the company you buy oils from (we like Rocky Mountain oils) and see if they have a cleaning product. Great article! Tea tree oil is one of the most powerful essential oil for all types of skin even kid’s skin. For kids skin, tea tree oil used for burns, cuts, diaper rash and fungal infections. Both adults and children can benefit from the use of tea tree oil. Thanks for sharing. How convenient that tea tree oil can be used as a natural bug repellant as well as to treat insect bites! I’ve been searching for an effective bug repellant that doesn’t involve DEET. I’ll be sure to try your recipe. It sounds like the perfect cure-all for a camping first aid kit. I really love Tea Tree Oil! I use it on my face and my kids’ skin, it’s even included in my first aid kit! It’s not expensive, and it’s quite useful. Thanks for sharing! Tea tree oil is one of most popular essential oils. It can be used as a cure for almost all infections and diseases. Tea tree oil can improve your skin and treat many skin problems naturally! Thank you so much for this information. I applied tea tree oil neat to my daughters wound. The doctors and nurse felt it was a bedsore. But….this wound was ordinal red and inflamed skin and appeared to come an infection from the hip bone. The side effects from the antibiotics was causing other problems so had to be stopped. I applied the tea tree oil to the open wound where the scab had come off. This actually turned the surface scab a white scaly top. Not looking healthy with the red inflammation spreading the dice of a email hand. Go and nurses not knowing what to do……more antibiotics subscribed……..had the tea tree made this worse. It is so very sore all in the thigh area. From your news letter for tea tree oil. Should I use the coconut oil as a carrier over the inflammation area and wound which is not open.? When using a metal scrubby to wash dishes, I stabbed my finger on a wire. It hurt but I thought “I’ll put something on it when I finish”. I got done and forgot all about it. Until an hour later it was throbbing! Then I recalled other times of this type of injury – with redness, swelling and throbbing for days – I was not looking forward to that. Really thought it was just too late to avoid that but decided to TRY tea tree oil just to see if it could help. I was in for a real surprise – I put the straight oil onto the puncture and rubbed a bit to help it get inside. Immediately I felt relief! The throbbing came back in awhile and I did the same thing again with relief following. I did this several times that day and within a few hours, all pain was gone! It then healed quickly with no problems. Now, if someone in my family gets a cut, this is my first action. This stuff is the best! I love this! Essential oils have always scared me a little, unless their use was completely spelled out for me. I have been using tea tree oil, but I am hoping to start using more. I could probably use an energy bath right now!